Alton Towers have upped this year’s Scarefest with four incredible scare mazes that are aimed for adults, a brand new chilling maze ‘Project 42’ is the scariest yet. Alton Towers Resort has transformed into the ultimate ‘scaremosphere’ this October for Halloween as their award-winning Scarefest returns. Scarefest 2018 features a brand new chilling scare maze, Project 42, along with a new programme of ‘Scaremosphere’, an extended House of Monsters, Sub Species: The End Games, The Welcoming – Be Chosen, and the Altonville Mine Tours: Uncover the Legend of the Skin Snatchers. 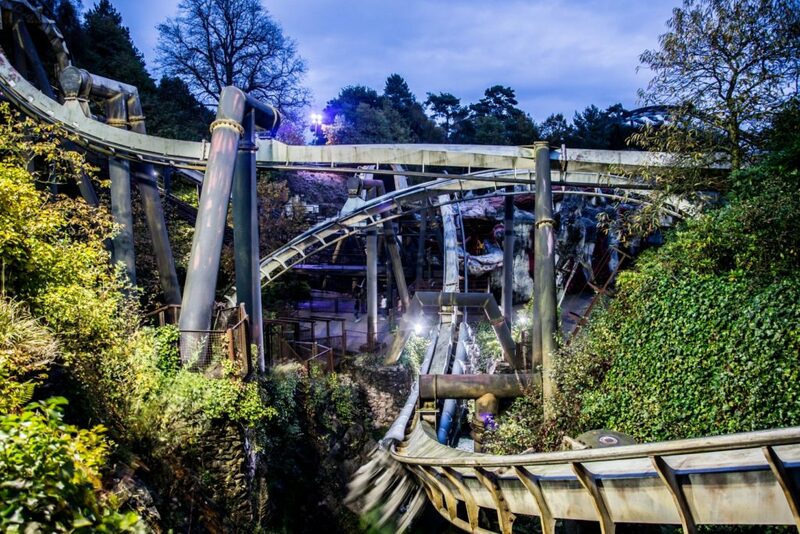 Alton Towers invited TwitCelebGossip for a full day of scares with a chance to experience the brand new wooden roller coaster The Wicker Man in the dark, alongside other spectacular Halloween attractions – This is our review. 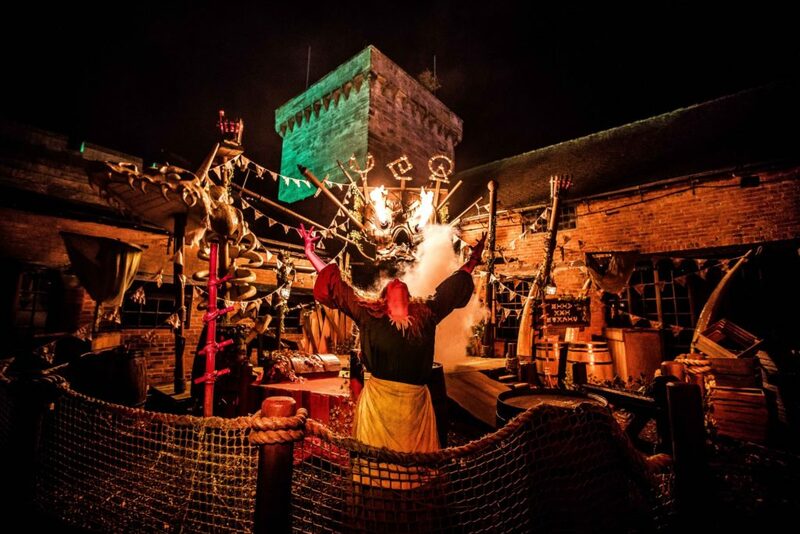 If you suffer from a nervous disposition, or are, pregnant, epileptic, or have any heart conditions then the new scare mazes at Alton Towers are definitely not for you – But if you enjoy being possibly scared to death then Scarefest is for you. 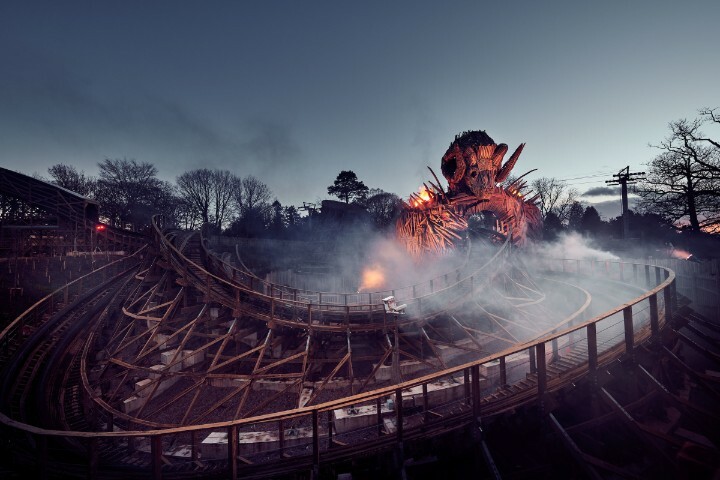 Project 42: This year Alton Towers have pulled out all the stops and introduced Project 42, a brand new action-packed scare maze that’s located in Forbidden Valley. New for 2018, Project 42 invites valiant volunteers (you) to enter the underground Phalanx compound in a bid to outwit what awaits inside. Volunteers need to find a vaccination for the human test subjects, that have been infected by a mutant antidote and unfortunately escaped. Project 42 is one of the most scariest mazes Alton Towers have introduced at Scarefest and left us screaming throughout (the roughly) 10 minute maze. Volunteers have to be at least 15 years old to enter the maze, and be prepared for live actors with disturbing makeup to touch you. 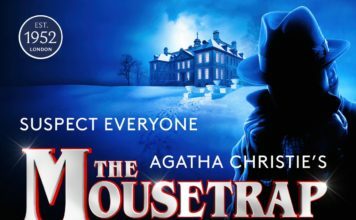 The Welcoming – Be Chosen: Followers of the Wicker Man spirit, a mysterious group previously unseen by the modern world, have been sighted within the Alton Towers Resort. Every year the secluded group host a festival to celebrate their own interpretation of Halloween – That pays homage to the earth and celebrating the crossover between the living world and the dead. The Welcoming is recommended for guests aged 15+. It’s not as extreme as Project 42, but it has some great props and detail to the maze – Worth a visit. Altonville Mine Tours – Uncover the Legend of the Skin Snatchers: The Altonville Tours have reopened this year with a twist. This year this maze extends the tour of newly discovered depths of the mine. Guests are taken deep underground which holds a very deep dark secret. Those that are brave enough can head to ‘Altonville’ and enter the damp disused mine, which is believed to have once been a home to a family of village outcasts. 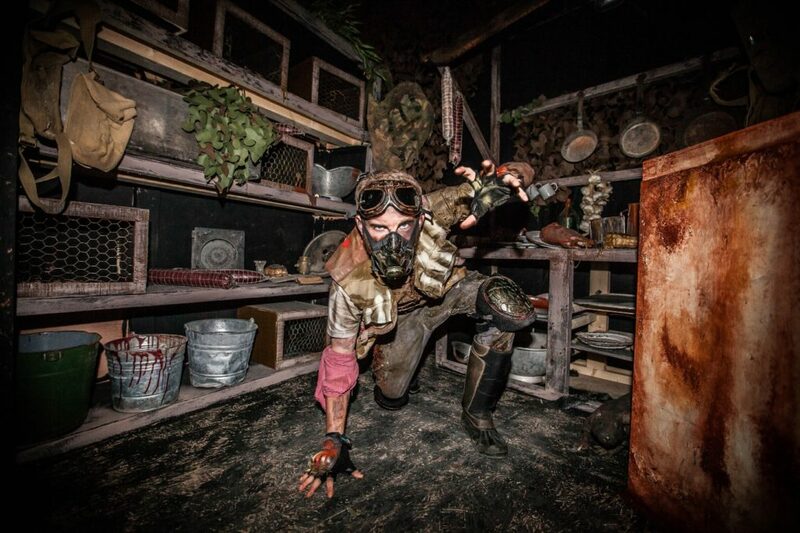 Altonville Mine Tours won ‘Best Halloween Scare Attraction 2016’ at Scare Con – and this year’s twist of the revamped maze is playful but has some truly horrifying sections. Sub Species – The End Games: A post-apocalyptic, sewer dwelling community have been infested by a species from another world. In order to survive, they appease the creature’s hunger by sacrificing innocent people from the surface (you). Over time, insanity has twisted the feeding ritual into a sick contest – You’re their entertainment. Sub Species, for us, was the second scariest maze of the night at Scarefest, with Project 42 coming out on top. During the maze, you WILL get split up from your party and have to navigate the maze on your own with terror around every corner. Anxiety levels are high as you walk completely lost in the dark, on your own. It’s as bad as it can get, in a good way. House of Monsters: The spooky walkthrough experience set in a maze of 7 live shows features laughs, frights, theatre and special effects. It’s recommended for families with children aged 8 years and over. 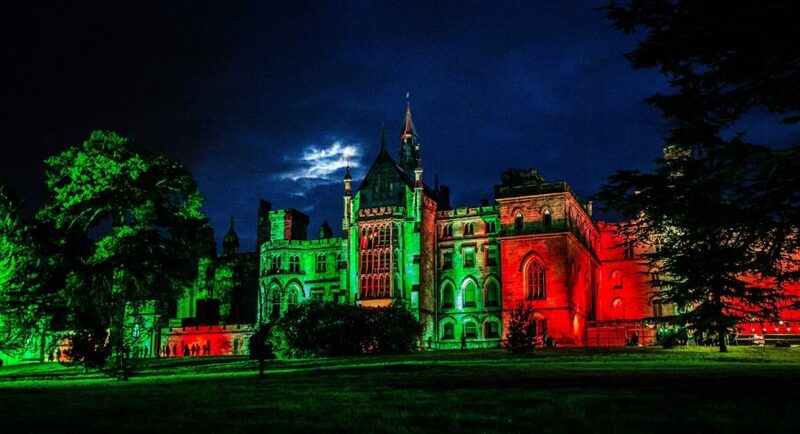 Alton Towers Resort is open until 9pm during the Scarefest period. 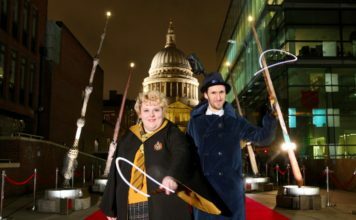 Guests can ride over 20 attractions at dusk and into the dark adding another level of thrills on Towers’ famous and breathtaking rides – This includes the new wooden rollercoaster the Wicker Man, £16million ride that spectacularly bursts into flames as riders pass through the six storey Wicker Man structure. Freaky Fun Zone: The Freaky Four become the Freaky Five as Gretyl the Witch joins Franklyn, Skelvin, Patch and Phil, with four brand new shows. 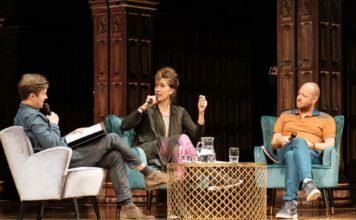 Freaky Funk Squad: A rock ‘n’ roll monster party, featuring a live vocalist, musicians and character performers, as the squad can only communicate in song. CBeebies Land: Halloween has arrived at CBeebies Land – both the characters and Funsters are ready to celebrate the spookiest of seasons with a show and party. Alton Towers Scarefest 2018 launched on October 6 and is taking place on October 7, 13, 14 and then from October 19 to November 2. The horror mazes are open from 1pm, and selected ones close at 9pm. Scare Maze tickets start from £8 and pre-booking is strongly advised so you don’t miss out. Theme Park tickets are available from £32 for an adult, and £27.50 for a child when booked online 5 days prior to a visit. You will need a theme park ticket and scare maze ticket to fully enjoy Scarefest. Combi tickets can be pre-booked too, and this gets you access to Project 42, Sub Species and Altonville Mine Tours. Parking is separate and costs £6. Scare zones open before it gets dark, it’s best to wait till after dark to enter the mazes for the full effect. If you want, you can enter Project 42, Altonville Mine Tours and Sub Species before dark as these mazes are inside. The Skyride is good transportation inside the park – Save your energy for the mazes. 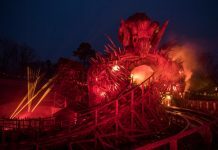 Wicker Man will have the biggest wait time to ride in the dark, be prepared. Download the official Alton Towers app for live queue times, offers and directions while you’re in the park.